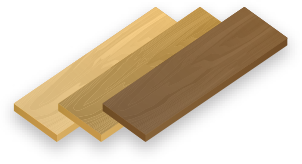 JFJ Wood Flooring are a long established family run business and our family date back as far as 1853 in the timber and flooring industry. We are wood flooring specialists with an extensive history of supplying quality hardwood floors and offer some of the highest spec engineered wood flooring available in the UK. We will work directly with you to provide a reliable wood flooring solution for your home or commercial property that meets your requirements. We manage to keep our prices down due to our high quantity buying power and much lower overheads to many of our ‘superstore’ competitors. We pride ourselves on our very high levels of customer service and satisfaction by putting you as our main priority and providing a wood flooring solution that matches your needs. We aim to be the most easy to deal with, friendly and helpful flooring suppliers both locally and over the internet. When dealing with ourselves you will not be passed from pillar to post. My Son and I personally deal with all the flooring orders and enquiries and having spent the last 35 years of my life within this trade, hopefully I have gained enough knowledge to give you sound advice when it comes to buying and laying your floor. We are always happy to help. Despite the internet being our main source of marketing over 55% of our orders are from recommendations and returning customer. Read our customer reviews here. We are a long established family run business of wood flooring specialists who offer you a personal service with free, expert advice gained through years of experience. Flooring, joinery and timber sales date back in our family as far as 1853. We are a customer focused and quality driven company where our clients requirements come first. We will work directly with you to supply you with the most suitable product that fulfils all your flooring needs. When you contact us with your enquiry, you will be dealing with 1 of 2 people; John Fanthorpe (the owner of the business) or his son, Tom. On our Traditional Engineered Oak and Engineered Walnut flooring we offer free delivery for your flooring on any quantity, within the UK. Subject to stock and time of your order, we can delivery on next day delivery or on a day of your choice. 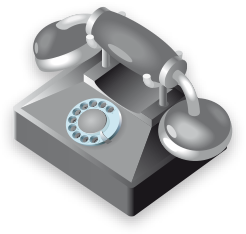 The main reason why we only take orders over the phone is because we much prefer talking to you beforehand to ensure that the product we supply you with is most suited to meet your needs. 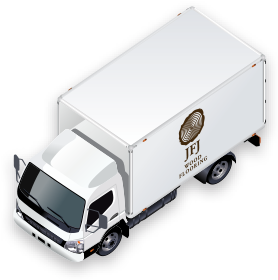 We will also arrange a delivery service that meets your requirements. From experience we know that offering a service out of hours can be extremely useful. It’s impossible for us to man the office 24 hours a day, but we will go out of our way to talk later in the evenings or weekends if this suits you. To add to this, we also do our best to respond to emails as soon as we can, so please try us any time. Call us now on 01598 740197 or email us today info@jfjwoodflooring.co.uk.